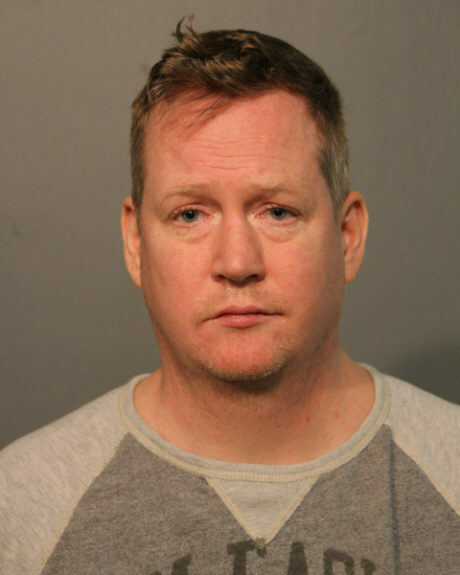 A man who once held a volunteer position in the local Chicago police CAPS program is facing felony reckless conduct charges for allegedly sparking a powerful police response by reporting a false “officer in distress” call to 911 from a local bar, court records say. 44-year-old Patrick Elbrecht of Uptown was taken into custody around 2 o’clock in the afternoon on December 30 after police swarmed to the Dram Shop, 3040 N. Broadway, where a 911 caller reported officers in need of assistance. Inside the bar, witnesses told responding officers that they saw Elbrecht call 911 and use the words “officers need assistance” and “10-1,” which is the Chicago police radio call for officers in distress, police said in their report. The report says Elbrecht responded “no” when cops asked if he needed help, if he was a police officer, if he required medical attention, or if any emergency existed. “[Arresting officers] then broadcast a complete disregard via police radio as they observed many police units were heading to the scene with emergency lights and sirens activated,” the report says. Elbrecht, free on $10,000 bond, is due back in court today. He was identified as the 23rd police district’s CAPS advisory committee business chairman in a media report and in a short biography from 2009. The 23rd and 19th police districts merged in 2012.